Lennox is one of the leading manufacturers of equipment for improving indoor comfort. In addition to being extremely energy efficient, Lennox has also worked hard to make their products some of the quietest. Some of their heat pumps have a noise level as low as that of modern refrigerators. As proof of the heat pumps efficiency, they received the Energy Star rating for most efficiency, twice in a row. This was in the year 2012 and 2013. At the time, their heat pumps were rated as the most efficient heat pumps on earth. One of their unique features is the provision of a solar-powered heat pump. With the power of the sun, one can control the climate of their home, essentially free with the Lennox heat pump. Another unique feature of the Lennox heat pumps is the humidity control option. With this option, one can control the level of molding in their home. Consequently, one will improve the breathability of the air inside the home. How to Get the Best Lennox Heat Pump Prices? *iComfort is a Lennox’s patent which can connect to WiFi thermostat to optimize performance efficiently. *Lennox Communicating System is an optional function for high-end models with a monthly fee. In my opinion, it is not worth the money. You can install a $200-$300 wifi ColorTouch thermostat instead. • Merit Series: The Merit Series is priced affordably with efficiencies up to 14 SEER and 8.2 HSPF. • Elite Series: The Elite Series is a mid-level product featuring SEER ratings that range from 14-20 and HSPF ratings from 9.5-10. Models are available with either a single-stage or two-stage compressor. • Signature Series: The Lennox Signature Series provides exceptional levels of comfort and efficiency. Models in this series are extremely quiet and provide 23.5 SEER and 10.5 HSPF ratings. The XP25 and SL18XP1 can be combined with compatible solar panels to reduce energy consumption by up to 50 percent. 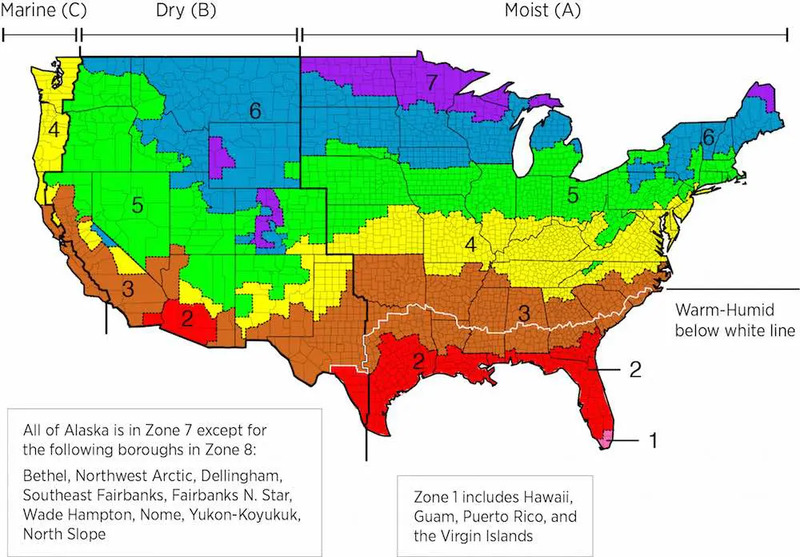 Note: In Zones 6 and 7, the coldest zones, a system with an efficient gas furnace and small central air conditioner is also a good option; Lennox is one of the premium brands with higher initial cost. If you have the plan of moving house in less than 5 years, we recommend installing some quality but low-end level brands like Payne, Ruud or Armstrong. Looking for more budget brands? You can check our heat pump brands guide. Please note that we always got more bad reviews than good reviews because people have less time to write a review when their heat pumps work perfectly. But you can take these tags to ask your contractor how they solve it once problem happened. This conclusion was reached after doing a thorough review of people who had used a number of heat pumps. It came out that most customers were impressed by the reliability of the Lennox heat pumps. People who had experienced with other high-efficiency heat pump brands claimed Lennox heat pumps required less maintenance. In addition, they claimed they noticed the greatest drop in their electricity bill after installing a Lennox. The solar panel is the unique feature only for Lennox, most customers satisfied with the high efficiency of Lennox solar model. Lennox Sun Source Worth the Money? Please note that this is not a default built-in function but you need to pay extra thousands of dollar. So the main question is: can I get the money back in the long run? According to the feedback from Lennox contractors, you can only save 5%-15% of daily usage of power which absolutely makes no sense. However, the solar-supported unit can qualify for at least 25% federal and state tax credit. Some utility companies still offer $2-$5 per watt rebate. So if you can find good government support to deduct part of the initial cost, it is worth your money, especially for A/C heavy users. After review of the customer feedback, this came out as a common problem. Most Lennox parts are unique and not interchangeable with other heat pumps. In addition, the company is regularly overhauling. Consequently, when the unit required even the simplest of replacement, finding the part could be a nightmare. This had led to many frustrated customers. Sometimes it had caused them to buy a new unit because a heat pump they bought three years ago no longer had its parts in production. Each system includes: 3-ton outdoor condenser, 1300-1500 cfm air handler, programmable heat pump thermostat and without Lennox solar panel. Each Unit includes: Lennox XP16 3-ton outdoor condenser, Lennox 1300-1400 cfm air handler, programmable thermostat. I am quite disappointed by the customer service. I had a run in with the customer service when I reported a problem with my new Lennox system. I had this unit installed as a replacement for an old unit. Since I installed it, it has continued to offer reliable service. I really like Lennox systems for their reliability and heat efficiency; I would definitely buy a Lennox again. This is the first time I am using a heat pump. I love this unit so far, it has been operating without any major hiccups for three years now. I have to realize the reason there are so many negative complaints. The silent majority of satisfied customers never bother to show their appreciation by leaving a positive review. I installed this Lennox system about a year ago. Since installation, the system makes a scary noise every time it changes cycles. Despite repetitive checks, the technician has not been able to find anything wrong with the system. I am disappointed; the contractor claims that these heat pumps are too complex. In fact, he plans to cancel his contract with Lennox soon. I bought this unit as a replacement for a Trane 2 ton unit. This was due to the system being extremely noisy. In addition, it was contributing to a higher electricity bill. When I had the new Lennox installed, it gave me a scare after a few months when it froze. However, the contractor was able to identify the problem and resolve it. Since then, it has not had any issues. I like Lennox and will definitely be buying a unit with a higher SEER rating. This will be from the savings am making on my reduced electricity bill. This table is based on local customers feedback and online submitted information, we will update this table every 3-6 months to keep this up to date. WHAT DISCOUNT DO CONTRACTORS GET ON LENNOX HEAT PUMPS AND AIR HANDLERS? We’re very interested in having a Ductless heat pump installed in our 14′ x 19′ Sunroom that’s probably 80% glass. We want something that will be REAL quite. Looking at your chart on pricing, it doesn’t give me any type of estimate for a 1.5 – 2.0 ton Ductless system. Is there anyone in Michigan who could give me a good idea?